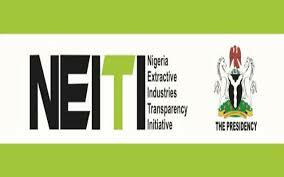 The Nigeria Extractive Industries Transparency Initiative (NEITI) has urged the Federal Government to probe the status and utilisation of dividends and loan repayments by NLNG to NNPC from 2000 – 2014. Waziri Adio, Executive Secretary of NEITI, made the call in a statement signed by its spokesman, Dr Orji Ogbonnaya Orji, on Thursday. According to him, the federal government should institute an independent investigation into NLNG dividends to NNPC from 2000 to 2014, amounting to $15.82 billion. According to Adio, NEITI policy brief stated that “since the Federation’s shareholding in NLNG is held through NNPC, dividends are paid to NNPC, which should remit same to the Federation. “However, NEITI’s audits have revealed that until 2015, NNPC failed to remit the interests and dividends from NLNG to the Federation Account,’’ he said. He said that the total outstanding dividends and loan repayments by NLNG to NNPC not remitted to the Federation account stood at over $15.8billion. Adio said the payments were traced to NNPC accounts by its independent auditors but there was no trace of its remittance to the Federation Account as required by the Constitution. On domestic crude allocation and management, Adio raised concerns that earnings from daily allocation of 445,000 barrels for domestic use have not been properly accounted for. “First, the refineries have been operating at below full capacity for a long time and currently process less than 100,000 barrels per day. “Between January 2015 and September 2016, NNPC lifted a total of 245.4 million barrels of crude oil for domestic use. “Out of this total, only 24.7 million barrels were delivered to the refineries. This represents a mere 10.06 per cent of the total crude oil lifted for domestic use for that period. “The remainder of this allocation was exported through a variety of channels: 64.8 million barrels or 26.4 per cent were exported directly; 97.6 million barrels or 39.77per cent were sold under the Offshore Processing Agreements (OPA). “And 58.29 million barrels or 23.75 per cent were sold under the Direct Sales – Direct Purchase (DSDP) scheme,’’ Adio said. He noted that concerns raised in NEITI’s audits and other stakeholders about the inefficiency of these arrangements, especially the OPA, led to the discontinuation of the OPA in April 2016. However, “NEITI audits have shown that earnings from transactions arising from domestic crude allocation have not been fully remitted to the country’s treasury.